Being an Asian adoptee in Norway, I did not have the lottery luck of ending up in a good home, which is a fact that has adversely shaped my life from childhood to present day. It has been suggested that, perhaps, if I had grown up with a better set of adoptive parents, I might have fared better and everything would have been all right. However, I’m convinced that many of the adoption-related issues that I struggle with today would still remain. In the Washington Post article “Please don’t tell me I was lucky to be adopted“, Shaaren Pine, a trans-cultural adoptee from India, shares her experience of growing up in a white home in a white area in Massachusetts, USA, with adoptive parents who did a pretty good job of raising her. She also speaks of how she finds that her 7 year old daughter Ara expresses her mother’s adoption situation far better than she herself could. “There she was, then 6, expressing her feelings about my adoption so clearly. She was able to acknowledge that like me, she, too, feels she has been cut off from her family, her culture and her story and that she is missing a part of who she is. Aside from the differences that I’m South Korean, not Indian, and that I grew up in what can only be described as a bad home, whereas she grew up in a good one, Shaaren’s story and the feelings and troubles she describes, to a large degree mirror my own. All in all, the article gives a look into the kinds of struggles that many adoptees have to deal with, emotionally and socially, and which follow them all through their lives. Even with good adoptive parents, all is not automatically well. Unfortunately, the full documentary has been removed from YouTube. I will re-post when or if I find another copy online. Meanwhile, I include these two shorter clips from The Oregonian and Worldwide News. The death of Hyun-su: Holt in violation of adoption law! 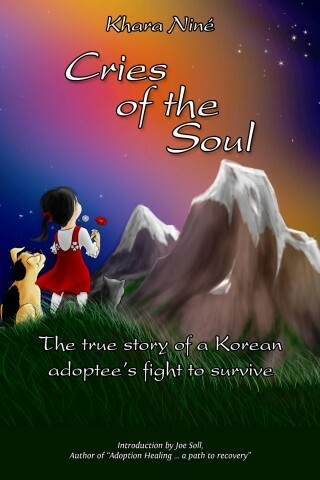 The following is quoted from a recent blog post by TRACK (Truth and Reconciliation for the Adoption Community of Korea), relating to the fatal beating of 3 year old Madoc Hyunsu O’Callaghan by his adoptive father, an Iraq veteran and high-ranking NSA agent, in February 2014, mere months after his adoption. Click anywhere within the article frame to read the rest of the article at TRACK’s website. This is the report by the Ministry of Health and Welfare on the audit conducted on Holt after the death of Hyun-su. This shows how Holt has been operating in violation of the Special Adoption Law amended in 2011 and enforced in 2012. They did not search for domestic adoptive families before placing children internationally. They took children from birthfamilies before the seven-day deliberation period was over. They performed up to 28 “Child Development Evaluations” per child. Only 2-3 have to be done per year. They charged adoptive parents for this and do not have guidelines for expenditures or the international adoption fee. They did inadequate assessment of prospective adoptive parents’ ability to financially support a child. They did improper home studies/investigations of prospective adoptive parents. They made improper contracts with overseas agencies. Their post-adoption services/follow-up on adoptive children was inadequate. They continued to collect government money to support children even though the children had already been sent overseas. This is just the introduction. Continue reading the full article on TRACK’s blog.